Beauty treatments for women in Brighton & Hove. At your home or in our treatment room in Hove, East Sussex. Welcome to Unique Treatments , treatment specialist for ladies only. Microblading *NEW! * our most popular treatment! 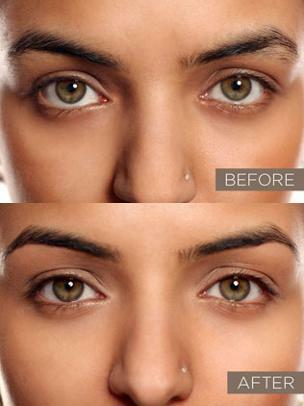 Eyebrow/Lash Treatments in order to enhance the eyes. Eyelash Extensions for natural looking radiant eyes. Whether it's for a special occasion, or if you want to look great all the time! After a brief consultation, Sue will suggest a customised plan based on your natural shape,features and requirements. If you are happy with the treatment plan, then the treatment will commence and be carried out using products that produce the best results. Sue will tailor your treatments to suit you. Take some time out and relax to experience Unique Treatments either at home or at our treatment room in Hove! "I have tried most threading providers in Brighton and Hove & Uniquely threading is by far the best. Sue has been visiting me for the past 2 years and I have never used anyone else since! " "I've had sue do my threading and eye lash dying for some years now and I am so pleased with the results.she is so professional in all her work and has a wonderful bubbly personality so I would certainly recommend Sue". Women's Only Kettlebell Fitness Classes by Sue.